The massive wildfires in California this week have left at least 29 people dead, according to ABC News, and as of Thursday morning there were still 22 wildfires raging. More than 180,000 acres have been scorched. Around 20,000 residents have had to evacuate. At least 3,500 structures have been damaged or destroyed. At least 8,000 responders are fighting the fires. 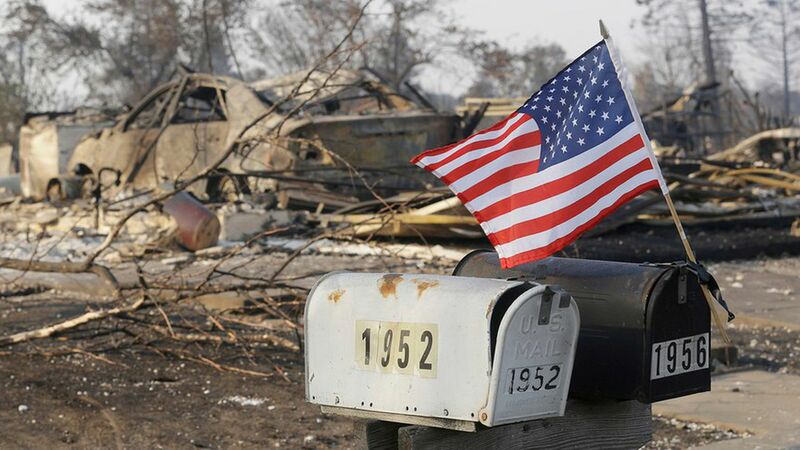 1,000 fire departments from around the west coast have sent assistance. 463 people of the 900 originally reported missing are still unaccounted for. At least 7,000 residents don't have power, in just Napa County.